Republicans are increasingly concerned about the 2018 landscape after Democrat Conor Lamb appeared to pull off an unlikely win in Pennsylvania’s 18th Congressional District. The race was officially still too close to call, but Lamb declared victory over Republican Rick Saccone. It came in a district where President Donald Trump won by about 20 points in 2016. “No suburban district is safe and every candidate better be ready for the most difficult cycle of their career,” one Republican strategist close to the race told Business Insider. 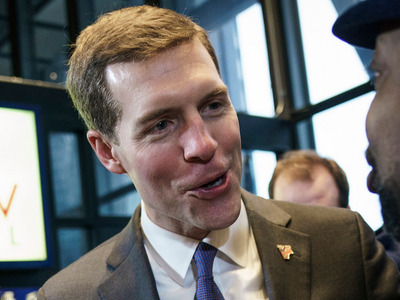 Republicans are panicked after Democrat Conor Lamb closed in on a victory over Republican Rick Saccone in a Pennsylvania congressional district that went for President Donald Trump by 20 points in 2016. That Lamb could perform so well in a district that overwhelmingly supported Trump and had sent a Republican to Congress without much contention for the better part of two decades signalled major challenges for the party as it seeks to maintain its congressional majorities in this year’s midterm elections. 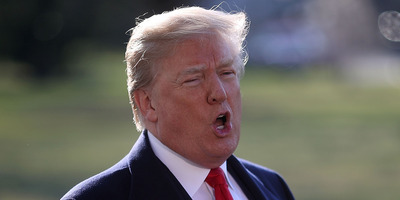 “It’s really hard to see how anyone looks at the factors Republicans are facing at this time, and the environment Republicans are in, and conclude anything other than that we are heading for a very difficult cycle,” a Republican strategist close to the race told Business Insider. There are roughly 120 House seats currently controlled by Republicans in districts that are not as solidly Republican as Pennsylvania’s 18th Congressional District. Lamb’s results came on the heels of Democratic Sen. Doug Jones’ shocking win in Alabama and big wins for the party in New Jersey and Virginia late last year. As of 12:30 a.m. on the East Coast, Lamb led Saccone by a slim margin of just more than 500 votes with only some absentee ballots outstanding. Lamb declared victory, and Democratic campaign groups followed suit. Lamb, a former Marine and federal prosecutor, ran a more centrist campaign, splitting with party leadership at times. He was, however, vehemently opposed to the Republican tax bill, supported the Affordable Care Act, and spoke out against cuts to Social Security, Medicare, and Medicaid. Saccone, meanwhile, pitched himself as “Trump before Trump” and sought to tie himself closely to the president and his agenda, which remain decently popular in the district. The election was big for a couple of major Trump policies. It was the first big election since Republicans passed their major tax overhaul.Democrats took the election results as a victory in their battle against the legislation. At the same time, Trump reportedly pitched his steel and aluminium tariffs with an eye on the race, hoping they could help prop up Saccone. But polling showed the tariffs did little to swing votes. Republicans were additionally concerned that Lamb provided a blue print for Democrats in a number of competitive races heading into the 2018 midterms, which increasingly look as if they will be a challenging landscape for GOP House and Senate candidates. Traditionally, the first midterm elections under a new president go for the party out of the White House.